For this blog entry, I ventured to the city of San Gabriel. Accompanying me were veteran three traveling companions. Cheryl Anne, a designer, hadn’t appeared since her Season 4, episode 10 debut, “Gardena – The South Bay’s city of opportunity.” Artist Chris Urias made his debut appearance and regular audiences are well acquainted with Club Underground‘s DJ Modernbrit, aka Tim Shimbles, who has appeared in numerous episodes, debuting back in Season 2, episode 4, “Morningside Circle” in which we first discovered South LA’s Westside. Why are there so many creepy vans in San Gabriel? It was good that I had such a large posse. San Gabriel was a familiar destination for me and my first traveling companion, whose name shall never again be uttered since she (literally, not figuratively) violently ripped my still beating heart from my chest in Season 3. Also, there seemed to be a very large number of windowless white kidnap vans circling us so a four deep crew and our keeping our wits about us was fundamental. 61% of San Gabriel‘s population is Asian-American although, after Chinese and Taiwanese, there is an almost equally large Vietnamese population (“Tran Gabriel,” anyone?) 25% of the population self-identifies as white (26% of the population is Latino of any race). San Gabriel‘s neighbors are San Marino (aka Chan Marino) to the north, the unincorporated area of East San Gabriel to the northeast, Temple City (aka “Temple S****y” to the east, Rosemead (aka Roachmead) to the south, Monterey Park to the southwest and Alhambra to the west. For thousands of years, the area that now makes up San Gabriel was known to its Tongva inhabitants asShevaa. Their local village, Sibangna, was located within the boundaries of modern day San Gabriel and was probably home to about 150 people. After the Spanish Conquest, the Tongva were subjugated and forcibly converted to Catholicism at the aforementioned Mission San Gabriel ArcÃ¡ngel, which was actually established in the nearby Whittier Narrows flood plain (genius!) in 1771. Five years later it was moved to higher ground, where it remains today. It was from the mission that a small group of 44 pobladores ventured in 1781, where they journeyed over the hills and founded El Pueblo de Nuestra Senora la Reina de los Angeles de Porcincula (better known as Los Angeles ). For that reason, San Gabriel also sometimes claims to be the birthplace of Los Angeles. Every September, the walk is reenacted. 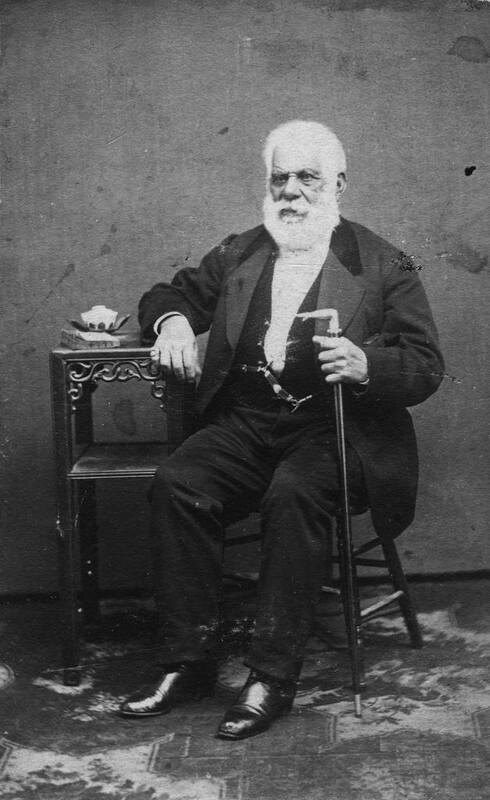 In 1801, at the mission, Pio de Jesus Pico was born. He went on to be California‘s last Mexicangovernor. In 1804, the first oranges were planted there. In 1834, PÃ­o Pico secularized the mission. Mission San Gabriel, painted in 1832 at the height of its prosperity by the German Ferdinand Deppe —the only known painting of a California mission from so early a date. After the US defeated Mexico and claimed California, the San Gabriel Township was established in 1852 – the first in the county. By 1860, the population had only grown to 586 residents. Other parks include Vincent Lugo Park, named (presumably) after someone named Vincent Lugo where, every November, they have the annual Turkey Trot. Smith Park (which is dedicated to the Tongva) andRoosevelt Park are two other small city parks. Plaza Park is the green space that sits in front of the Mission. On it stands an attractive fountain dedicated by the people of San Gabriel on the US’s bicentennial. A fews later, in 1867, future artist Guy Rose (for whom Rosemead is named) was born in San Gabriel. In 1885, the township’s most famous resident, George “Old Blood and Guts” Patton was born there. He was later, in 1970, the subject of the film Patton. San Gabriel became a city in name when it was incorporated in 1913. Like most of the San Gabriel Valley, San Gabriel remained largely agricultural until the mid-20th century. One of San Gabriel’s most-treasured reminders of that past is the huge, Japanese family-owned and operated San Gabriel Nursery & Florist, founded in 1923. Following the end of World War II, large numbers of Italians began to move from the Eastside (especiallyLincoln Heights), as well as Latinos (especially from East LA), began to settle in the western San Gabriel Valley cities of Alhambra, Rosemead, Montebello, Temple City as well as San Gabriel. In 1948, future Manson family member and murderer Susan Atkins was born there. In 1969 she would participate in the Tate/LaBianca murders in Los Feliz. So notorious were the Manson Family murders thatAmoeba has a Manson Family section for all of the films they inspired. In 1954, actor/musician Charles William “Bill” Mumy, Jr was born there. As a youth, he gained fame asWill Robinson on the TV series Lost in Space. Saint Sava Serbian Orthodox is the oldest, organized Orthodox Christian church in SoCal. The Saint Sava Serbian Orthodox Church of Los Angeles was founded in 1910. In that era, around 2,000 Serbsemigrated from Boka, Hercegovina, Montenegro and Vojvodina. The roots of St. Sava begin in 1903, when Serbian immigrants organized Jedinstvo, a Serbian benevolent society. They purchased land for a Serbian cemetery in East LA in 1908. In 1956, church member Charles S. Barzut donated a house and adjoining land in San Gabriel for the construction of a new St Sava church. The church was completed in 1963. A new church building was completed on the land in 1984. The local Chua Dieu Phap Temple is another somewhat attractive Viet-Spanish-style house of worship, built in 1991. The first significant population of Asian-Americans, as in many agricultural areas of LA County, were of Japanese origin in the early 20th century. However, a much larger wave of Asian-Americans arrived in the vicinity in the starting in the late 1970s, when many Taiwanese families settled in the western part of the San Gabriel Valley. Much of this could be attributed to realtor Frederic Hsieh, who somewhat exaggeratedly promoted neighboring Monterey Park in Taiwan and Hong Kong as “The Chinese Beverly Hills.” In the 1980s, large numbers of Mainland Chinese and Vietnamese also moved to the area. After Monterey Park passed an ordinance that all signs had to be written in English (despite neither the USAnor California having no official language). Chinese-speaking business owners responded by packing up and relocating to friendlier climates of Alhambra and San Gabriel. (It didn’t take long for Monterey Park to reverse their position, encouraging more Asian-Americans to move there so that in 1990 it became the first Asian-majority city on the US mainland). On September 15, 48-year-old Coptic Christian Adel Karas was shot and killed at a convenience store, most likely because some ignorant, psychotic dumbass was taking his misguided post 9-11 anger out on a random innocent. The crime remains unsolved. On well-known Taiwanese-American San Gabriel resident, Joanna Wang (王若琳), was born in Tapei in 1988 but moved with her family to San Gabriel when she was sixteen. Her stated mix of primary influences (The Beatles, Koji Kondo and Oingo Bongo) resulted in a Taiwanese number one in 2008, Start from here. In 2013 she released an album, Galaxy Crisis: The Strangest Midnight Broadcast, that saw her make a stylistic shift into Picopop. Monterey Park, nor San Gabriel for that matter, ever really developed into a Chinese Beverly Hills and in the 1990s, many of the area’s wealthier Chinese-Americans moved to “old money” places like Arcadia and San Marino, nearby Temple City, and the farther off, “new money” suburbs of Diamond Bar, Hacienda Heights,Rowland Heights and Walnut. San Gabriel is a mecca of Asian markets for the Southland. Taiwanese-American oriented (but Little Saigon founded) 99 Ranch Market is the second largest employer in the city (after the San Gabriel Valley Medical Center) founded in Little Saigon. Markets are a huge part of San Gabriel… San Gabrielinos love to eat! There’s also Shun Fat (the fourth largest employer in the city), Hawaii (the sixth largest employer in town),Howie’s Ranch Market, Mitsuwa Marketplace, Yama Seafood, Claro’s Italian Market, Alexander’s Prime Meats and Catering, Shanghai Food & Groceries Co and H K Supermarket. We stopped in a car accessories shop. Not a Pep Boys or Auto Zone style one, rather one where you can church up an old beater with a big line of Hello Kitty products, stuffed animals, cute air fresheners, &c. Since I was borrowing someone else’s car, I only hung a violet-scented ornament containing a penguin floating in fake slush. Special mention has to go to the San Gabriel Superstore, which – to convey it’s size and power – deposed a Target. More than just a large Chinese/Vietnamese/Hoa market, it’s almost like a massive Vietnamese swap meet with restaurants, clothing stores, DVD stores, CDs, gift shops, a cafeteria, jewelry stores, &c.
Outside it’s usually kind of a scene too. I’ve been there numerous times and it seems like there’s always this woman at the entrance making these fresh, hot cream custard-filled pastries that are really delicious – anyone know what they’re called? They seem Vietnamese but what do I know? The parking lot also seems to be the preferred hang out for San Gabriel’s homeless population. Whilst we’re on the subject of food, I should mention that the beloved Huy Fong, the makers of famously addictive Rooster Sauce, is based in San Gabriel. Huy Fong was founded in Chinatown by Hoa immigrantDavid Tran, (born 1945 – the year of the rooster). Until he came to the US in the late ’70s, he farmed and sold chili sauce in and around Long Binh. Have you ever seen an advertisement for Rooster Sauce? No – that’s because word-of-mouth is more than adequate. In the mid-’80s they relocated to a larger facility in Rosemead. Now they’ve outgrown that and moved to an even larger facility in San Gabriel. It has to be mentioned, although Huy Fong’s rooster sauce is the most popular sriracha in the US (Thai brand Flying Goose is more popular overseas), sriracha is a Thai invention, not an American one. Sriracha is named after the coastal town Si Racha, Thailand. Thai sriracha tends to be tangier, sweeter and runnier than non-Thai versions. My advice? Try as many kinds as you like and put copious amounts on everything — it’s ok to have more than one type. Eateries in San Gabriel reflect both the city’s past and present. There are still a significant number of Italianrestaurants (and one market – founded in 1948). There are also many long-established Mexican restaurants. One the day of our visit, we ate at the original Macho Cafe, an old fashioned Cal-Mex joint established in 1979. If you like Cal-Mex, it delivers the goods. San Gabriel is also home to a large number of Vietnamese restaurants. I’ve eaten at Banh Mi Che Calif many times. For my ex’s family, Saigon Flavor is practically a home away from home. I used to eat at the local Ajisen Ramen pretty regularly but that’s an international chain so I won’t go into it further. So, even though San Gabriel has a fair amount of variety, Chinese and Taiwanese restaurants absolutely abound. (It should also be noted that San Gabriel seemingly has foot spas, hair places, and nail salons on every block… but here are the rest of the restaurants, cafes, tea houses, &c). Tasty Noodle House, Tasty Village, Tea Station, Tea Time, Teaser Jungle, Thai Cove, Thai Paradise, The Hot Pots, Thousand Tasty Restaurant, Thuan Kieu Restaurant, Tokyo Lobby Restaurant, Ton Chan Ramen, Uncle Joe’s Donuts, Uncle Yu’s Indian Theme Restaurant, Van’s Bakery, Vietnam House, Vietnam Restaurant, Vua Kho Bo, Wan Chun Taiwanese Food, Wang Jia Restaurant, Wonderful Restaurant, Xian Wei Lou, Yi-Mei Restaurant, Yes Cafe, Yi Gee Cart, Yoshino Sushi, Young Dong Tofu, Yu Garden Chinese Restaurant, Yu Nan 168, Yu Pin, Yum Cha Cafe, and Yunnan Garden. The aforementioned Ajisen is located in the large Hilton Plaza… which also houses many restaurants as well as the 54,000 square foot Hilton Plaza, a popular site for weddings – especially amongst Chinese-Americans. Across the street is the even bigger (60,000 square foot) Life Plaza Center. Next to that is the 220,000 square foot San Gabriel Square. Locals have nicknamed it “The Chinese Disneyland” as well as “The Emerald City.” The LA Times dubbed it “The Great Mall of China.” Even though those nicknames are clever and whilst most of the mall’s patrons are Chinese or Taiwanese, the focus of the stores tends to be broadly pan-East Asian. DVD, VCD and CD stores carry mixes ofCantonese, Mandarin, Vietnamese, Korean and Japanese titles. The mall is anchored by Focus Department Store, Focus Jewelry Center, Sam Woo Seafood Restaurantand 99 Ranch Market. The many liquor stores and vast cognac selections at local markets suggest that San Gabriel is no dry town. However, the small number of establishments dedicated to drinking suggest that bars aren’t the locale of choice for most locals. There’s only Al’s Cocktails, B’s Land, Elite Cocktail Lounge and Sharky’s Sports Bar. For those that enjoy having fun that doesn’t (necessarily) center around getting drunk, there’s also Embassy Billiards Club and the ever-popular Cue Studio, which specialize in Japanese sticker booths. I couldn’t find any films that were shot in San Gabriel… yet! There are several independent movie stores with formidable selections of Asian Cinema. Firelink sells various video formats, mostly of Asian films. Gily Bookstore sells Asian movies, music, Chinese books and other knickknacks (although they were out of Japanese film Confessions. King Hua has a large selection of cheap CD and DVDs (especially Karaokeones). Super Star Video rents and sells videos and games. Y2K DVD is large, prepaid Asian video rental store. The San Gabriel Super Store has several stalls that sell DVDs, mostly of Vietnamese films. Anyone know the name of this video place? San Gabriel is home to several cultural institutions. The San Gabriel Mission Playhouse, now the San Gabriel Civic Auditorium, is located in the Mission District. It was constructed for John Steven McGroarty and dedicated on 5 March, 1927 as a stage for McGroarty’s Mission Play. Another Mission District institution is the Mission Hand Car Wash, which was established in 1979. There are several shops are housed in a building named Temple Block, including the the Ramona Museum of California History and the Fine Arts Association on Mission. The First National Bank was built in 1913 as the Bank of San Gabriel. It’s been used since 1969 by the San Gabriel Fine Arts Association for art shows, exhibitions and classes. The Historical Association Museum includes the old jail and the Hayes House, built in 1887 by future Chancellor of USC, George Findley Bovard. The jail was a small stone milk house that served as a makeshift jail until prisoners could be transported to the Los Angeles County Jail. < Previous Happy birthday Bronze Buckeroo – Herb Jeffries turns 98 today.